Finding out where you really want to be in life requires patience, hard work and planning, but anyone can do it with the right dedication. 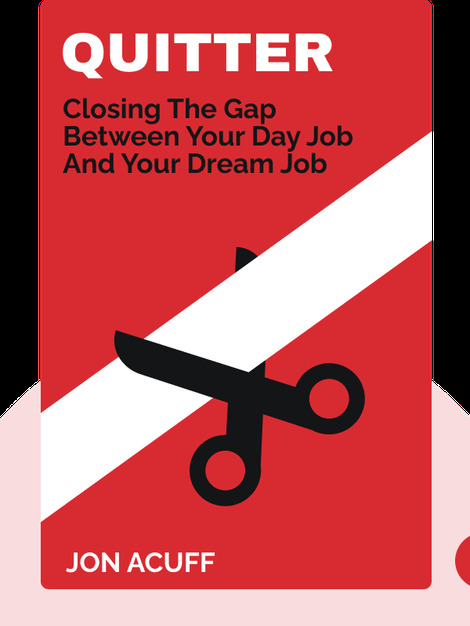 Filled with many personal anecdotes from a 12-year span of job-hopping, Quitter shows you the smartest way to quit your day job for your dream job. 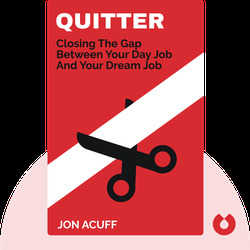 Jon Acuff is a self-professed “serial quitter” who once had eight different jobs in eight years. He finally closed the gap between his day job and dream job in 2010, after he joined the Dave Ramsey team to become a full-time author. He’s since gone solo. His other works include Gazelles, Baby Steps and 37 Other Things Dave Ramsey Taught Me About Debt and Stuff Christians Like.